It has been one incredibly busy month. So much has happened over the last few months that we needed to just pause a bit, re-focus, re-group and find our centre, aka finding balance. And no, balance cannot be found when one is blogging 24-7! As food lovers, the first thing we had to overhaul was our diet. No kidding. Sometimes the biggest changes in our lives start with just one bite. You see, when we started this blog, we were adamant that we would focus on healthy recipes of the low carb ilk, that would help to redefine what “healthy” looked and tasted like for people all over the world. We had reason to be concerned. We have noticed that people all over the world are struggling with epidemic rates of Type 2 Diabetes, and the complications that spiral from this preventable disease like Kidney Failure and Cardiovascular Disease among many others. Chief among the casualties of this disease is the growing number of children with Type2 Diabetes who have never learnt the lifestyle skills and ways of eating that is necessary for good health. But we are not doctors nor are we nutritionists. 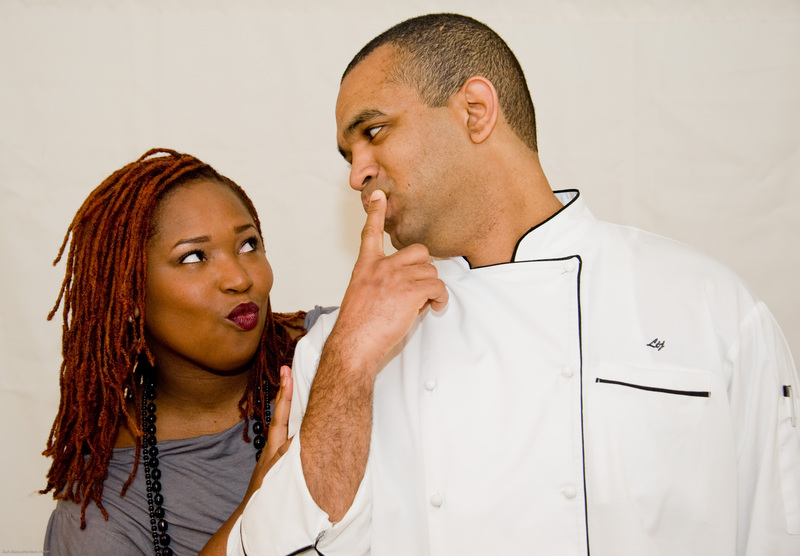 We are simply a husband and wife team (chef and journalist) who have combined our skills and passion for food and health in a bid to ignite a fire in your belly to bring the love back into your kitchen. We believe that once we start to cook or prepare all our meals (or at least the vast majority of them), we will be able to nourish our bodies to better and sustainable health. So we are getting back on track. We have been back on our strict low carb regime for the past month and have been having great success. We are losing weight, our energy has improved and we are isolating our own problem foods while we bring our bodies into balance. We are different phases of our diet (the manly chef in Phase 2 and the curvy steward in Phase 1 because we have different missions and are at different points in our journey. However, we are doing this together because the truth is, there is no better way to live. We have been making only low carb meals in our kitchen and are getting out more. The chef changed jobs after 5 years in his previous hotel and the steward has been writing a weekly food column for Khaleej Times (one of the biggest regional english language newspapers )and now works with Tavola, the top kitchen and table company in the Middle Eastern Gulf states. We have also decided to put all demonstrations on hold for now as well as catering offers. Thank you to all who have expressed eagerness to host us for demos, but we are currently not pursuing that medium. We believe our time is better spent using this medium to reach as many as we can while balancing our own jobs and self-care. But we have missed you and we wanted to write a non-recipe post to you showing our re-commitment to our food philosophy. So, with glasses of sparkling water and lemon slices lifted, let’s raise a toast to the return of the Low Carb Epicures in Dubai! Nice pic…glad you guys are back!